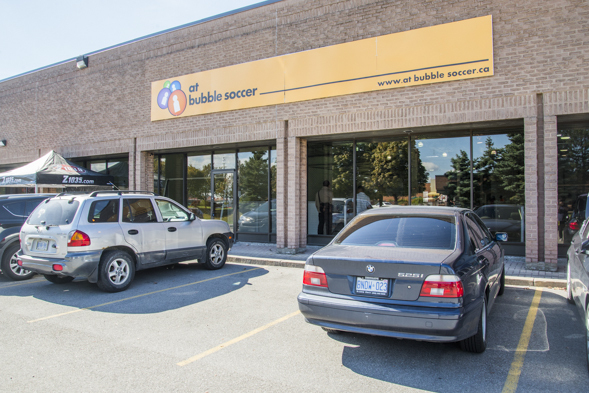 AT Bubble Soccer is located less than a block north of Steeles Ave. in Vaughan. 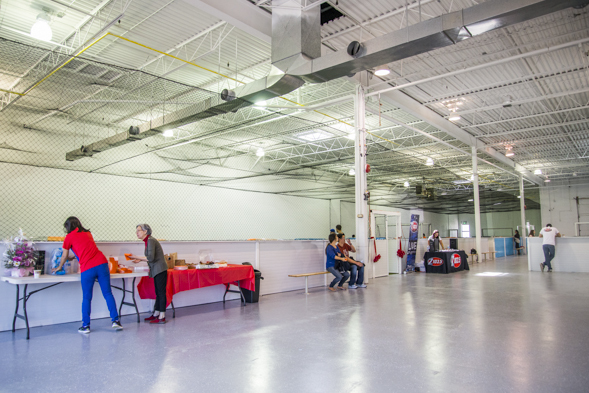 Amidst rather uniform warehouses and strip malls, the indoor sports facility lets players take soccer to the extreme as they run around the field dribbling, kicking and toppling over. 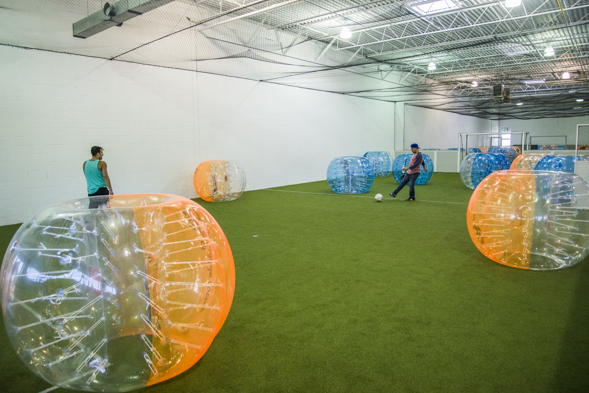 For the past little while, bubble soccer pictures have been popping up on my Facebook newsfeed. 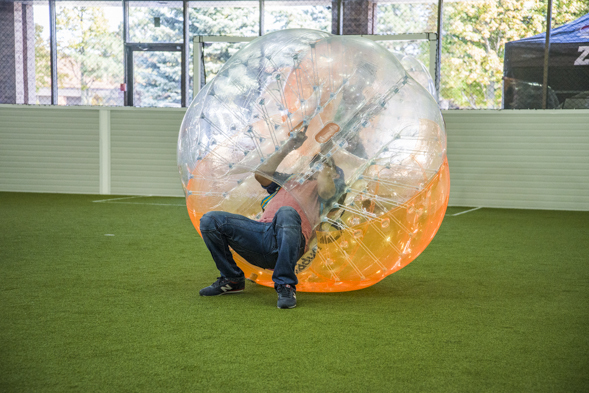 So when the opportunity presented itself, I had to try it out (despite my fear of team sports and getting trapped in a bubble). I popped over to AT's grand opening and bee-lined my way to one of the fields. 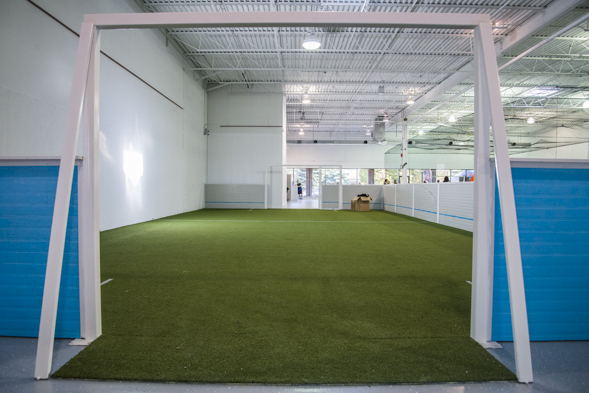 The 12,000 square-foot facility has three turf surfaces suitable for game-play, including one just for kids. 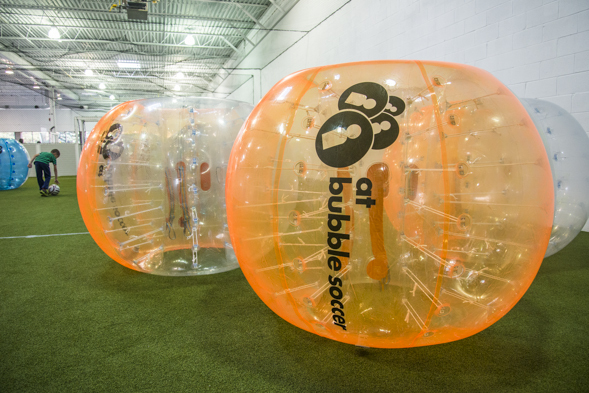 While participants currently need to be above 4'10'' to join in, owner Thomas Yan says AT will soon have smaller bubbles available. Yan, who also runs Toronto escape room AT Escape , started this new venture in part to bring more entertainment options to those living in the GTA. Fittingly, he enjoys playing soccer, both with and without a bubble. 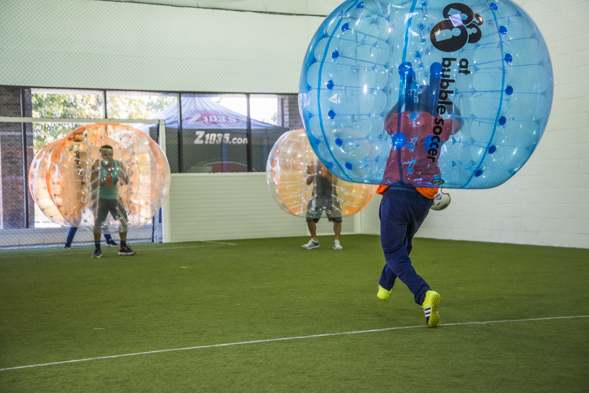 For the grand opening, he acted as the referee, throwing out yellow and red cards when players broke bubble soccer's cardinal rule: no hitting from behind. I was both nervous and excited to try out this hybrid sport. 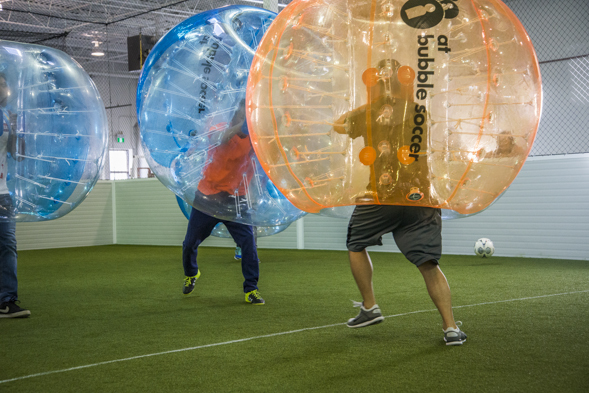 The bubble was heavier than I expected; each one weighs approximately 18 pounds. Since my soccer career started and ended at age five, I didn't have high expectations for myself. I mostly ran around the perimeter trying to avoid other players who were intent on knocking me over. My friend who plays soccer regularly, on the other hand, was more successful. He tested out his dribbling and shooting skills in this new-fangled environment and even scored a bunch of goals. 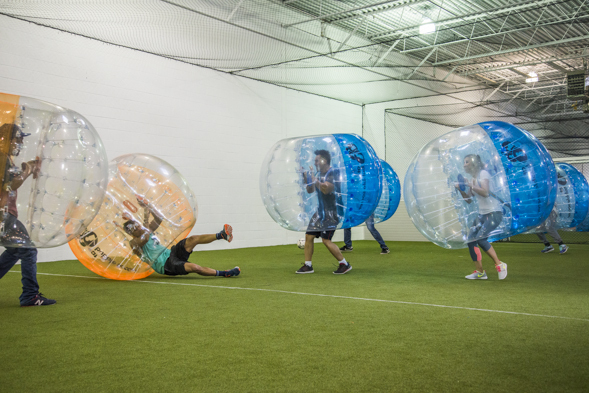 AT hopes to host bubble soccer leagues and for those who prefer individual sports, it plans to introduce bubble fitness classes (running around ensconced in a bubble was a workout in itself). It'll cost you $17.70 to use the facility from Monday-Thursday and $22.12 on weekends. Regular hours aren't relegated only for soccer matches. On opening day, Wan also introduced us to other bubble-related games, including a particularly brutal one called Bubble Chaos. For this, I became a human bumper car. At first, getting thrown across the field was terrifying, but after a while it just felt like another part of the beautiful game.